Mangaluru, Nov 01, 2017: Music buffs can look forward to three-days of musical treat with Raga Sudha Rasa 2017 that Mani Krishnaswami Academy is organizing at the Town Hall from November 3. This music festival that is being held since 2011 is aimed at giving exposure to music lovers to various music forms and not a specific genre and also expose upcoming talented artists to music maestros, noted Ganesh Karnik, MLC and also president of the academy, set up in 2004. The festival will get underway with a Carnatic classical duet featuring Archana and Samanvi, aka Lathangi sisters on Friday. Sri Jitakamananda swami, president, Sri Ramakrishna Math and Sri Ekagamyananda Swami from the math will deliver benedictions. Chandrahas B Rai, assistant director, department of Kannada and culture will preside over the inaugural function. Jayanth J A will take center-stage with Carnatic flute recital after the inaugural function. Anagha Bhat from Bengaluru will start proceedings on day two with a Hindustani classical music concert and Pandit Venkatesh Kumar from Dharwad will follow it with another Hindustani classical music concert. Proceedings on Sunday, the final day, will start in the morning with Prajna Adiga from Udupi presenting poet DVGs Anthapura songs in a Carnatic classical music concert, followed by Carnatic classical concert by Trichy V Pradeep Kumar from Chennai. Post lunch will see a unique effort - Raga Ondu - Baava Halavu involving Carnatic, Hindustani, Bharatanatyam, bhavageethe, film music, yakshagana songs and bhajans that Krishna Pavan Kumar, Chaitanya, Vidyashree Radhakrishna, Raghavendra Achar, Sangeetha Balachandra, Ramakrishna Maiya and Sudarshan Kunjathaya respectively will render. 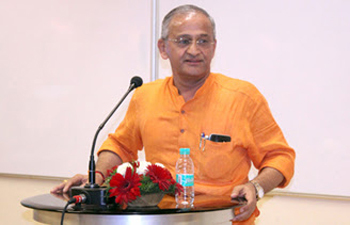 The programme is conceived by P Nithyananda Rao, secretary of the academy, Ganesh Karnik said. Organisers will present ’Yuva Kalamani award’ on tabla artist Nikshith T Puttur at the valedictory function. Shivaprakash B, MD, Mahabala Lalita Kala Sangha, Puttur will deliver the felicitation address. Senior artists Sathyavathi Moodambadithaya, Sharadamani Shekar and Shubhamani Shekar will be felicitated on this occasion. A Carnatic classical concert by Akkarai Shubhalakshmi and Akkarai Swarnalatha from Chennai will bring down curtains on the festival.